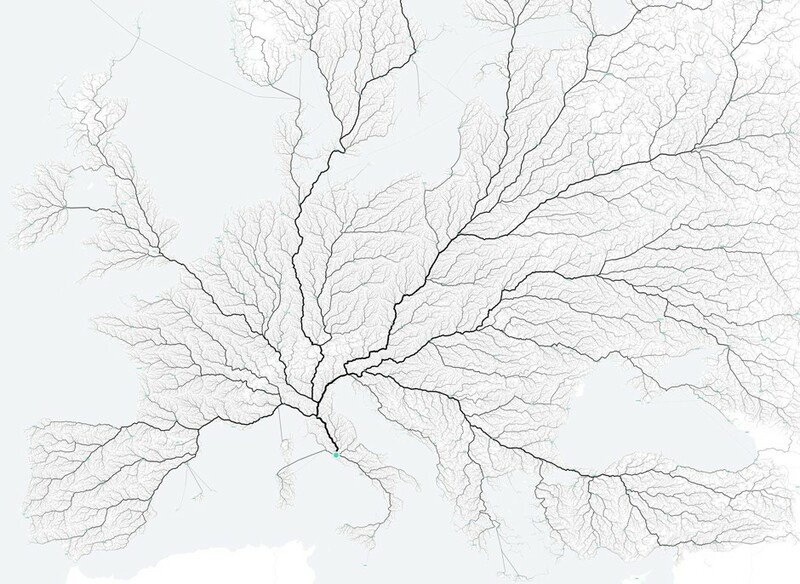 Here is a fascinating data visualization experiment by moovel lab testing a piece of ancient wisdom, "All roads lead to Rome" (link). The experiment is discussed in the CityLab blog of the Atlantic. 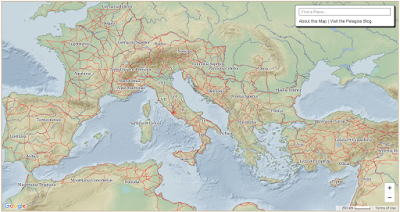 It is not a full map of the auto routes of Europe; instead, it is a construction of the routes that exist from every grid point on the map of Europe to the destination of Rome. 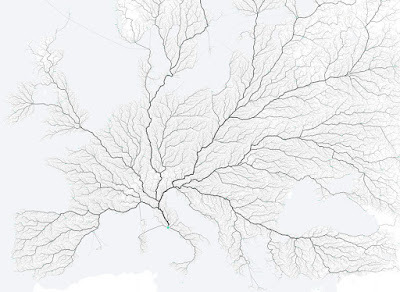 So properly speaking, it doesn't confirm that "all roads lead to Rome"; instead it demonstrates that "you can get to Rome from virtually every point in Europe through a dense system of tributaries". It's an amazing representation of the capillaries of transportation throughout the continent. Imagine what the system would look like if the destination were Stockholm instead. I imagine that the coverage of the map would be equally complete; "you can get to Stockholm from every point in Europe through a dense system of tributaries". But I also imagine that there would be some important structural differences in the two maps, with a different set of most-travelled primary capillaries. What about it, moovel lab folks -- is this an experiment that could be readily performed? It appears visually that it is possible to align the two maps. Major roads in ancient Europe seem to follow the same course today. 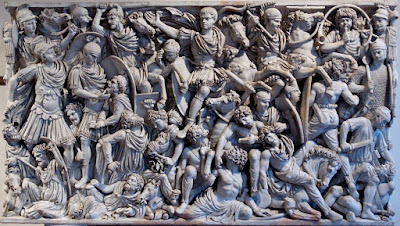 It has sometimes been observed that, for the Romans, it might not have been such a good thing that all roads lead to Rome. 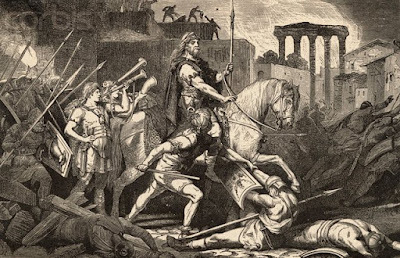 This same system of roads served as conduits of invasion by waves of Germanic armies. Here is a video by Mary Beard on the historical importance of the Roman road system. A short recent article in the Journal of Artificial Societies and Social Simulation by Venturini, Jensen, and Latour lays out a critique of the explanatory strategy associated with agent-based modeling of complex social phenomena (link). (Thanks to Mark Carrigan for the reference via Twitter; @mark_carrigan.) Tommaso Venturini is an expert on digital media networks at Sciences Po (link), Pablo Jensen is a physicist who works on social simulations, and Bruno Latour is -- Bruno Latour. Readers who recall recent posts here on the strengths and weaknesses of ABM models as a basis for explaining social conflict will find the article interesting (link). VJ&L argue that agent-based models -- really, all simulations that proceed from the micro to the macro -- are both flawed and unnecessary. They are flawed because they unavoidable resort to assumptions about agents and their environments that reduce the complexity of social interaction to an unacceptable denominator; and they are unnecessary because it is now possible to trace directly the kinds of processes of social interaction that simulations are designed to model. The "big data" available concerning individual-to-individual interactions permits direct observation of most large social processes, they appear to hold. But it is very important to recognize the limitations of these models as predictors of outcomes in specific periods and locations of unrest. These simulation models probably don't shed much light on particular episodes of contention in Egypt or Tunisia during the Arab Spring. The "qualitative" theories of contention that have been developed probably shed more light on the dynamics of contention than the simulations do at this point in their development. But the confidence expressed by VJ&L in the new observability of social processes through digital tracing seems excessive to me. They offer a few good examples that support their case -- opinion change, for example (1.9). Here they argue that it is possible to map or track opinion change directly through digital footprints of interaction (Twitter, Facebook, blogging), and this is superior to abstract modeling of opinion change through social networks. No doubt we can learn something important about the dynamics of opinion change through this means. But this is a very special case. Can we similarly "map" the spread of new political ideas and slogans during the Arab Spring? No, because the vast majority of those present in Tahrir Square were not tweeting and texting their experiences. Can we map the spread of anti-Muslim attitudes in Gujarat in 2002 leading to massive killings of Muslims in a short period of time? No, for the same reason: activists and nationalist gangs did not do us the historical courtesy of posting their thought processes in their Twitter feeds either. Can we study the institutional realities of the fiscal system of the Indonesian state through its digital traces? No. Can we study the prevalence and causes of official corruption in China through digital traces? Again, no. So I'm not persuaded that the tools of digital tracing provide the full alternative to social simulation that these authors assert. And this implies that social simulation tools remain an important component of the social scientist's toolbox. For these and related reasons Busemeyer and Bruza argue that the mathematics, logic, and concepts of quantum mechanics may allow us to reach better traction with respect to the processes of belief acquisition and judgment that constitute human cognition. So far so good -- there may be a mathematical homology between quantum states in the micro-physical world and states of knowledge acquisition at the level of acquisition. However, Busemeyer and Bruza are entirely explicit in saying that they regard this solely as a formal analogy -- not a hypothesis about the real underlying structure of human thought. They explicitly deny that they find evidence to support the idea that consciousness is a quantum phenomenon at the sub-molecular level. They are "agnostic toward the so-called 'quantum mind' hypothesis" (kl 156). Their use of the mathematics of quantum mechanics is formal rather than substantive -- more akin to using the mathematics of fluid dynamics to represent flow through a social network than arriving at a theory of the real constitution of a domain as a basis for explaining its characteristics. Given the key role this body of research plays in Wendt's arguments about the social sciences, it is worth considering how it has been received in the relevant academic communities. H. Van Dyke Parunak reviews the work in Computing Reviews (link). Parunak emphasizes the point made here, that the book is explicit in declaring that it does not provide support for the idea of "quantum cognition" as a manifestation of underlying quantum physical processes. He observes that "a more accurate title, but much less exciting, would be Hilbert space models of cognition and decision," emphasizing the purely formal and mathematical nature of their arguments. Quantum mechanics provides a computational model for cognition based on quantum probability theory in their work, not an ontology of the cognitive process. Here is a short piece by Trueblood, Pothos, and Busemeyer in Frontiers in Psychology that spells out the mathematical assumptions that are invoked here (link). This description too emphasizes the purely formal nature of this theory; it is an attempt to apply some of the mathematical models and constructs of quantum theory to the empirical problems of cognition and judgment. They go beyond this observation, however, by attempting to assess the ability of the mathematics to fit the data. Their overall judgment is dubious about the applicability of these mathematical tools to the available data on specific aspects of belief formation (22). "After performing the test against available data, the result is quite clear: non-degenerate models are not an option, being not empirically adequate or not needed." This is all relevant to a discussion of Wendt's work, because Wendt's premise is solidly realist: he wants to seriously consider the possibility or likelihood of "quantum consciousness". This is the idea that thought and mental activity are the manifestations of subatomic quantum effects. After World War II John von Neumann became interested in the central nervous system as a computing organ. Ironically, more was probably known about neuroanatomy than about advanced digital computing in the 1940s; that situation has reversed, of course. Now we know a great deal about calculating, recognizing, searching, and estimating in silicon; but relatively less about how these kinds of processes work in the setting of the central nervous system. At the time of his final illness von Neumann was preparing a series of Silliman Lectures at Yale University that focused on the parallels that exist between the digital computer and the brain; these were published posthumously as The Computer and the Brain (CB) in 1958. This topic also comes in for substantial discussion in Theory Of Self Reproducing Automata (TSRA) (edited and published posthumously by Arthur Burks in 1966). It is very interesting to see how von Neumann sought to analyze this problem on the basis of the kinds of information available to him in the 1950s. Much of CB takes the form of a rapid summary of the state of knowledge about digital computing machines that existed in the 1950s, from Turing to ENIAC. Almost all computers today possess the "von Neumann" architecture along these lines. Turing's fundamental theorem is that any function that is computable at all is computable on a Turing machine; so a Turing machine is a universal computing machine. 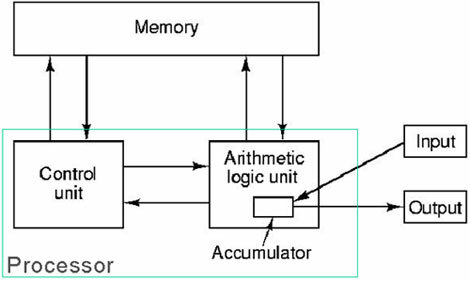 The von Neumann architecture and the computing machines that it spawned -- ENIAC and its heirs -- are implementations of a universal computing machine. Key questions about the capacities of a computing machine, either electro-mechanical or biological, have to do with estimating its dimensionality: how much space does it occupy, how much energy does it consume, and how much time does it take to complete a given calculation? And this is where von Neumann's analysis took its origin. Von Neumann sought to arrive at realistic estimates of the size and functionality of the components of these two kinds of computation machines. The differences in scale are enormous, whether we consider speed, volume, or energy consumption. Fundamentally, neurons are more numerous by orders of magnitude (10^10 versus 10^4); slower by orders of magnitude (5 msec vs. 10^-3 msec); less energy-intensive by orders of magnitude (10^-3 ergs vs.10^2 ergs); and computationally less precise by orders of magnitude. (Essentially he estimates that a neural circuit, either analog or digital, is capable of precision of only about 1%.) And yet von Neumann concludes that brains accomplish computational problems faster than digital computers because of their massively parallel structure -- in spite of the comparative slowness of the individual elements of computation (neurons). This implies that the brain embodies a structurally different architecture than sequential digital computing embodied in the von Neumann model. Von Neumann takes the fundamental operator of the brain to be the neuron, and he represents the neuron as a digital device (in spite of its evident analog electrochemical properties). A neuron transmits a pulse. "The nervous pulses can clearly be viewed as (two-valued) markers.... The absence of a pulse then represents one value (say, the binary digit 0), and the presence of one represents the other (say, the binary digit 1)" (42). "The nervous system has a prima facie digital character" (44). In considering the brain von Neumann reached several fundamental observations. First, the enormous neural network of the central nervous system is itself a universal computing machine. Von Neumann worked on the assumption that the CNS could be "programmed" to represent the fundamental operations of arithmetic and logic; and therefore it has all the power of a universal computational machine. But second, von Neumann believes his analysis demonstrates that its architecture is fundamentally different from the standard von Neumann architecture. This observation is the more fundamental. It derives from von Neumann's estimates of the base speed rate of calculation available to neurons in comparison to vacuum tubes; a von Neumann machine with components of this time scale would take eons to complete the calculations that the brain performs routinely. And so this underlines the importance of the massively parallel computing that is accomplished by the biological neural network. Ironically, however, it has proven challenging to emulate massively parallel neural nets in digital computing environments; here is an interesting technical report by Paul Fox that identifies communication bandwidth as being the primary limiting factor for such emulations (link). John von Neumann was one of the genuine mathematical geniuses of the twentieth century. A particularly interesting window onto von Neumann's scientific work is provided by George Dyson in his book, Turing's Cathedral: The Origins of the Digital Universe. The book is as much an intellectual history of the mathematics and physics expertise of the Princeton Institute for Advanced Study as it is a study of any one individual, but von Neumann plays a key role in the story. His contribution to the creation of the general-purpose digital computer helped to lay the foundations for the digital world in which we now all live. Galison argues that there were two fairly different views in play of the significance of Monte Carlo methods in the 1950s and 1960s. 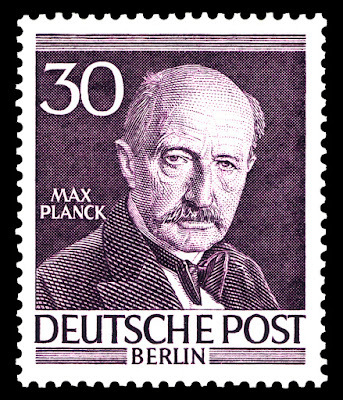 According to the first view, they were simply a calculating device permitting the "computational physicist" to calculate values for outcomes that could not be observed or theoretically inferred. 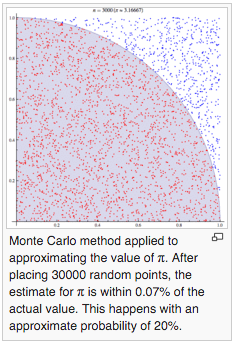 According to the second view, Monte Carlo methods were interpreted realistically. Their statistical underpinnings were thought to correspond exactly to the probabilistic characteristics of nature; they represented a stochastic view of physics. This is a very bold interpretation of a simulation technique. Rather than looking at the model as an abstraction from reality, this interpretation looks at the model as a digital reproduction of that reality. "Thus for the stochasticist, the simulation was, in a sense, of apiece with the natural phenomenon" (147). One thing that is striking in these descriptions of the software developed in the 1950s to implement Monte Carlo methods is the very limited size and computing power of the first-generation general-purpose computing devices. Punch cards represented "the state of a single neutron at a single moment in time" (Haigh et al link 45), and the algorithm used pseudo-random numbers and basic physics to compute the next state of this neutron. The basic computations used third-order polynomial approximations (Haigh et al link 46) to compute future states of the neutron. The simulation described here resulted in the production of one million punched cards. 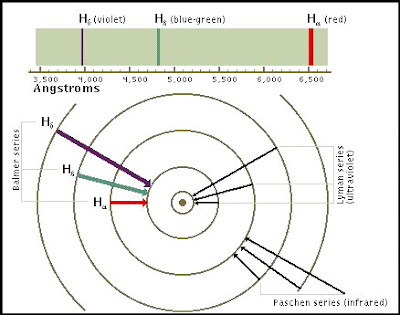 It would seem that today one could use a spreadsheet to reproduce the von Neumann Monte Carlo simulation of fission, with each line being the computed result from the previous line after application of the specified mathematical functions to the data represented in the prior line. So a natural question to ask is -- what could von Neumann have accomplished if he had Excel in his toolkit? Experts -- is this possible? 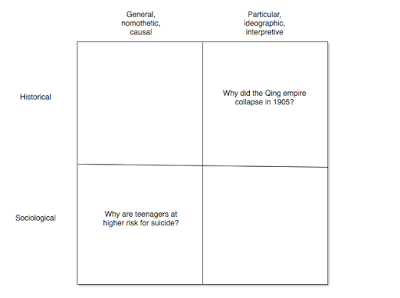 This way of understanding social and historical explanations no longer has a lot of appeal. "Causal" and "nomological" no longer have the affinity with each other that they once had, and "idiographic" and "interpretive" no longer seem to mutually imply each other. Philosophers have come to recognize that the deductive-nomological model does a poor job of explicating causation, and that we are better served by the idea that causal relationships are established by discovering discrete causal mechanisms. And the interpretive approach doesn't line up uniquely with any particular mode of explanation. 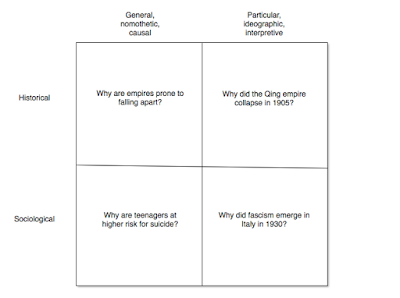 In fact it is straightforward to identify candidate explanations in the two "vacant" cells -- particular sociological explanations and general historical explanations. In Fascists Michael Mann asks a number of moderately general questions about the causes of European fascism; but he also asks about historically particular instances of fascism. 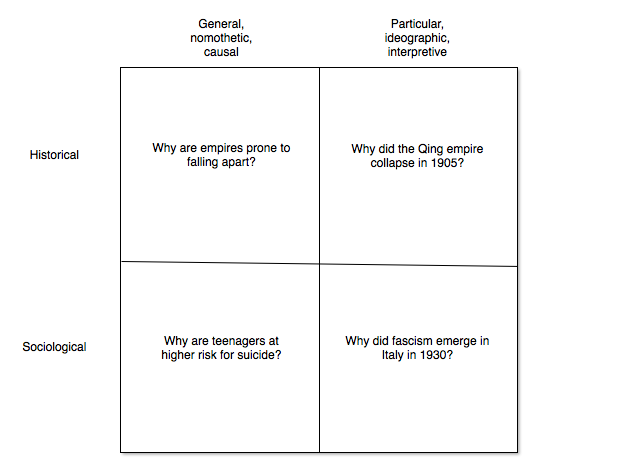 Historical sociology involves both singular and general explanations. But likewise, historians of the French Revolution or the English Revolution often provide general hypotheses even as they construct a particular narrative leading to the storming of the Bastille (Pincus, Soboul). How do the issues of generalization and particularity arise in the context of causal mechanisms? In several ways. First, explanations based on social mechanisms can take place in both a generalizing and a particular context. We can explain a group of similar social outcomes by hypothesizing the workings of a common causal mechanism giving rise to them; and we can explain a unique event by identifying the mechanisms that produced it in the given unique circumstances. Second, a social-mechanism explanation relies on a degree of lawfulness; but it refrains from the strong commitments of the deductive-nomological method. There are no high-level social regularities. Third, we can refer both to particular individual mechanisms and a class of similar mechanisms. For example, the situation of "easy access to valuable items along with low probability of detection" constitutes a mechanism leading to pilferage and corruption. We can invoke this mechanism to explain a particular instance of corrupt behavior -- a specific group of agents in a business who conspire to issue false invoices -- or a general fact -- the logistics function of a large military organization is prone to repeated corruption. (Sergeant Bilko, we see you!) So mechanisms support a degree of generalization across instances of social activity; and they also depend upon a degree of generalization across sequences of events. We might say that the most basic difference between historical and sociological explanation is a matter of pragmatics -- intellectual interest rather than fundamental logic. 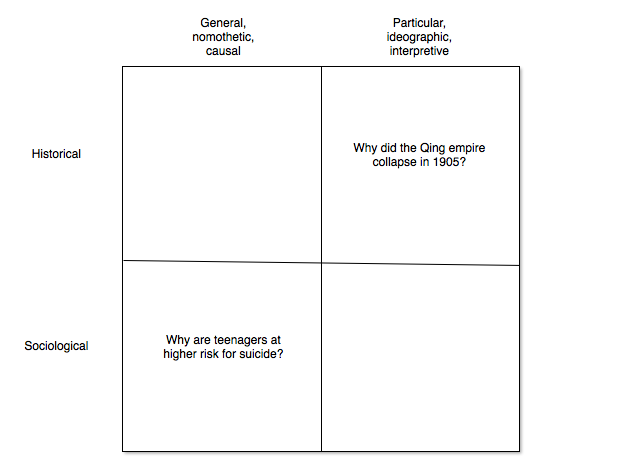 Historians tend to be more interested in the particulars of a historical setting, whereas sociologists -- even historical sociologists -- tend to be more interested in generalizable patterns and causes. But in each case the goal of explanation is to discover an answer to the question, why and how does the outcome occur? And this typically involves identifying both causal mechanisms and human meanings. 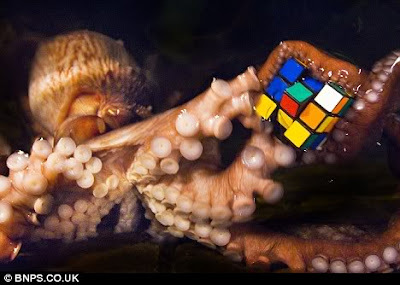 The organism possesses a cognitive representation of its environment (including the object we refer to as "Rubik's cube"). The organism possesses curiosity -- a behavioral disposition to manipulate the environment and observe the effects of manipulation. Here we seem to see the organism conveying a tool (coconut shell) to be used for an important purpose later (concealment) (link). This behavior seems to imply several cognitive states: recognition of the physical characteristics of the shell; recognition of the utility those characteristics may have in another setting; and a plan for concealment. The behavior also seems to imply a capacity for learning -- adapting behavior by incorporating knowledge learned at an earlier time. Another tool available to the cephalopod theorist is controlled experimentation. It is possible to test the perceptual, cognitive, and motor capacities of the organism by designing simple experimental setups inviting various kinds of behavior. The researcher can ask "what-if" questions and frame experiments that serve to answer them -- for example, what if the organism is separated from the shell but it remains in view; will the organism reaquire the shell? A third tool available to the cephalopod researcher is the accumulated neuro-physiology that is available for the species. How does the perceptual system work? What can we determine about the cognitive system embodied in the organism's central nervous system? In short, it seems that cephalopod cognition is a research field that necessarily combines detailed empirical research with conceptual and theoretical framing; and the latter efforts require as much rigor as the former. We might think of these levels as "individuals," "organization, value communities, social networks," "large aggregate institutions like states," etc. This is only one way of trying to represent the structure of the social world. 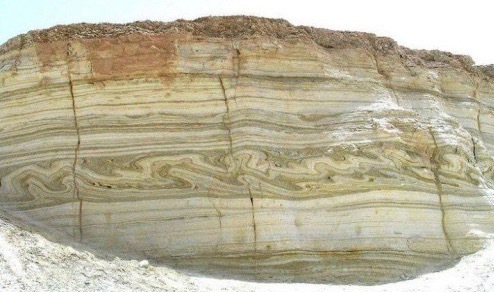 The notion of a "flat" ontology was considered in an earlier post (link). Another structure that is excluded by this diagram is one in which there is multi-directional causation across levels, both upwards and downwards. For example, the diagram excludes the possibility that L3 entities have causal powers that are original and independent from the powers of L2 or L1 entities. The laminated view described here is the assumption built into debates about microfoundations, supervenience, and emergence. It reflects the language of micro, meso, and macro levels of social action and organization. 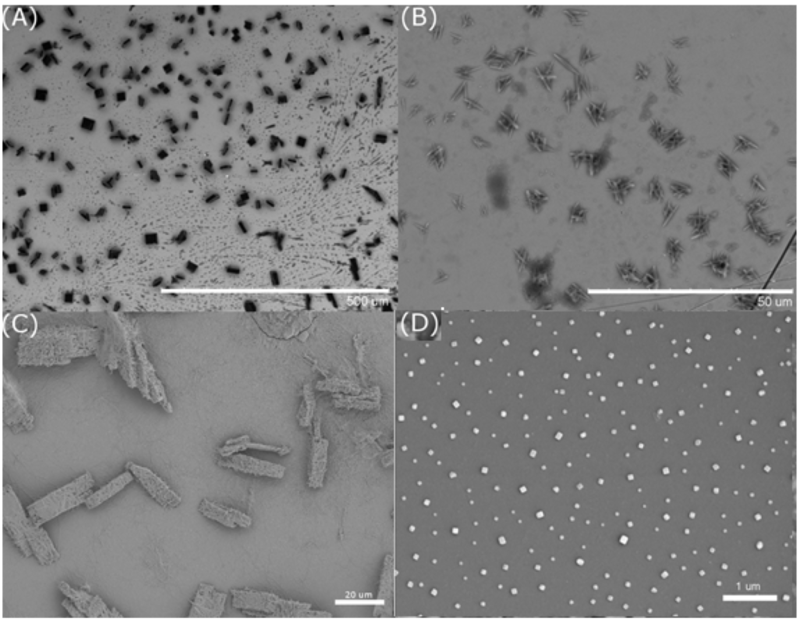 Strong emergence of properties in L2 with respect to the properties of L1: L2 possesses some properties that do not depend wholly upon the properties of L1. If we take a pragmatic view of the social sciences and conclude that any given stage of knowledge provides information about only a subset of possible microfoundations for higher-level facts, then we are at liberty to take the view that each level of social ontology is at least weakly emergent from lower levels -- basically, the point of view advocated under the banner of "relative explanatory autonomy" (link). This also appears to be roughly the position taken by Herbert Simon (link). In other words, it appears that each of the concepts of supervenience, reduction, emergence, and generative dependence can be defined in terms of the availability or inavailability of microfoundations for some or all of the facts at a higher level based on facts at the lower level. Strong emergence and generative dependence turn out to be logical contraries (witness the final two definitions above). For quite a few years I have found the concept of microfoundations to be central for thinking about relationships across levels of social and individual activity. 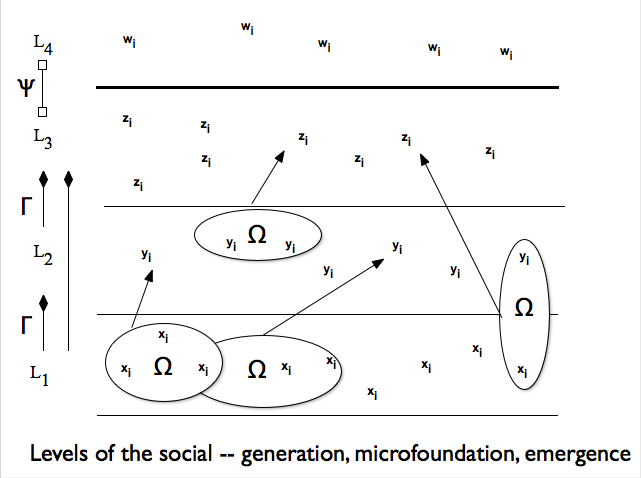 Succinctly, I have argued that, while it is perfectly legitimate to formulate theories and hypotheses about the properties and causal powers of higher-level social entities, it is necessary that those entities should have microfoundations at the level of the structured activities of socially situated individuals. Higher-level social things need microfoundations at the level of the individuals whose actions and thoughts create the social entity or power. 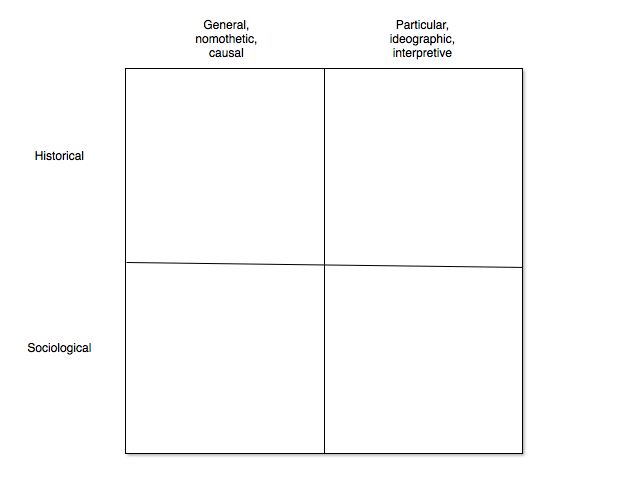 (I have also used the idea of "methodological localism" to express this idea; link.) A fresh look at the presuppositions of the concept makes me more doubtful about its validity, however. There is another reason why the microfoundations idea was appealing — the ontological discipline it imposed with respect to theories and hypotheses at the higher level of social structure and causation. The requirement of providing microfoundations was an antidote to lazy thinking in the realm of social theory. Elster’s critique of G. A. Cohen’s functionalism in Karl Marx's Theory of History is a case in point; Elster argued convincingly that a claim that "X exists because it brings about Y benefits for the system in which it exists” can only be supported if we can demonstrate the lower-level causal processes that allow the prospect of future system benefits to influence X (link). Careless functionalism is unsupportable. More generally, the idea that there are social properties that are fundamental and emergent is flawed in the same way that vitalist biology is flawed. 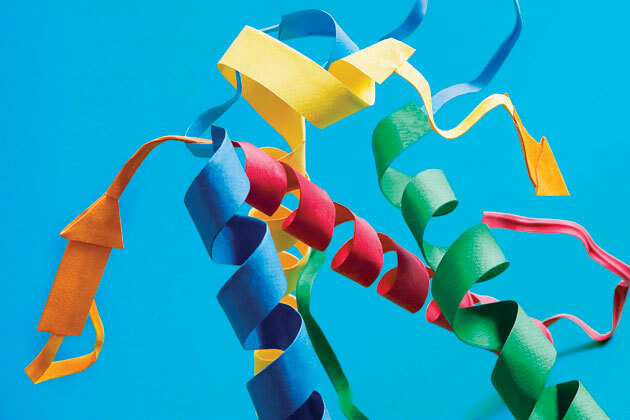 Biological facts are embedded within the material biochemistry of the cell and the gene, and claims that postulate a “something extra” over and above biochemistry involve magical thinking. 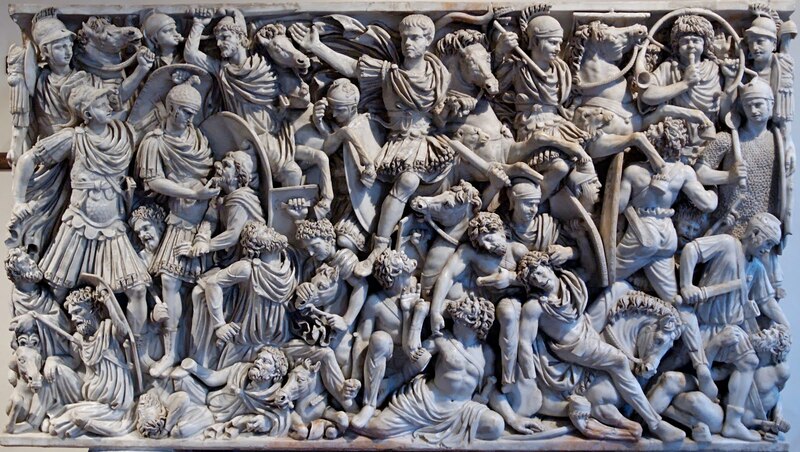 Likewise, social facts are somehow or other embedded within and created by a substratum of individual action. In short, there are reasons to find the microfoundations approach appealing. However, I'm inclined to think that it is less compelling than it appears to be. First, methodology. The microfoundations approach is a perfectly legitimate explanatory strategy; but it is only one approach out of many. So searching for microfoundations ought to be considered an explanatory heuristic rather than a methodological necessity. Microfoundational accounts represent one legitimate form of social explanation (micro-to-meso); but so do "lateral" accounts (meso-to-meso explanations) or even "descending" accounts (macro-to-meso explanations). 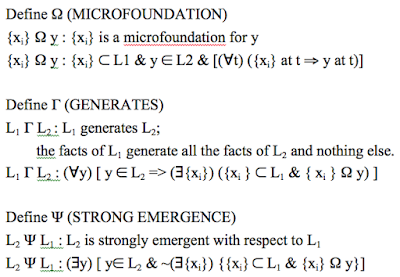 So a search for microfoundations is only one among a number of valid explanatory approaches we might take. Analytical sociology is one legitimate approach to social research; but there are other legitimate approaches as well (link). Second, social ontology. The insistence that social facts must rest upon microfoundations is one way of expressing the idea of ontological dependency of the social upon the individual level (understanding, of course, that individuals themselves have social properties and constraints). But perhaps there are other and more compelling ways of expressing this idea. One is the idea of ontological individualism. This is the view that social entities, powers, and conditions are all constituted by the actions and thoughts of individual human beings, and nothing else. The social world is constituted by the socially situated individuals who make it up. Brian Epstein articulates this requirement very clearly here: "Ontological individualism is the thesis that facts about individuals exhaustively determine social facts” (link). 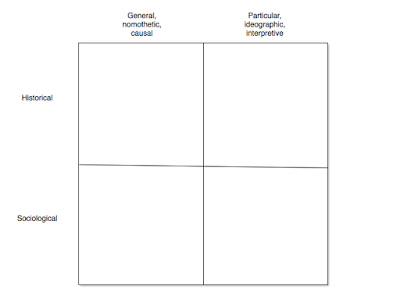 This formulation makes it evident that individualism and microfoundations are closely linked. In particular, ontological individualism is true if and only if all social facts possess microfoundations at the level of socially situated individuals. There are no "holistic" or non-reducible social entities. Taken together, this position amounts to a fairly specific and narrow view of the social world -- indeed, excessively so. It fully incorporates the assumptions of ontological individualism, it postulates that generative microfoundational explanations are the best kind of social explanation, and it rules out several other credible lines of thought about social causation. In fact, we might want to be agnostic about ontological individualism and the strong theory of microfoundations for a couple of reasons. 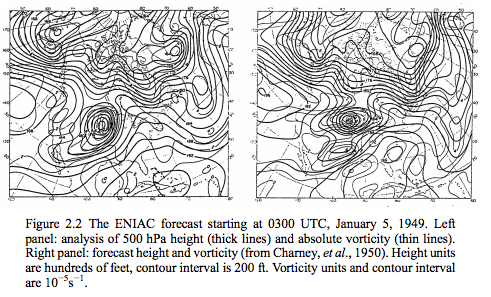 One is the possibility of downward and lateral causation from meso or macro level to meso level. Another is the possibility raised by Searle and Epstein that there may be social facts that cannot be disaggregated onto facts about individuals (the validity of a marriage, for example; link). A third is the difficult question of whether there might be reasons for thinking that a lower level of organization (e.g. the cognitive system or neurophysiology) is more compelling than a folk theory of individual behavior. Finally, the metaphor of levels and strata itself may be misleading or incoherent as a way of understanding the realm of the social; it may turn out to be impossible to draw clear distinctions between levels of the social. (This is the rationale for the idea of a "flat" social ontology; link.) So there seem to be a handful of important reasons for thinking that we may want to suspend judgment about the correctness of ontological individualism. Either way, the microfoundations thesis seems to be questionable. If ontological individualism is true, then it follows trivially that there are microfoundations for a given social fact. If ontological individualism is false, then the microfoundations thesis as an ontological thesis is false as well -- there will be social properties that lack microfoundations at the individual level. Either way, the key question is the truth or falsity of ontological individualism. Two things now seem more clear to me than they did some years ago. First, microfoundationalism is not a general requirement on social explanation. It is rather one explanatory strategy out of many. 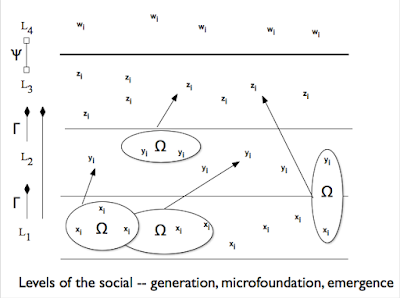 And second, microfoundationalism is not necessarily the best way of articulating the ontology of the social world. A more direct approach is to simply specify that the social world is constituted by the activities and thoughts of individuals and the artifacts that they create. The principle of ontological individualism seems to express this view very well. And when the view is formulated clearly, its possible deficiencies become clear as well. 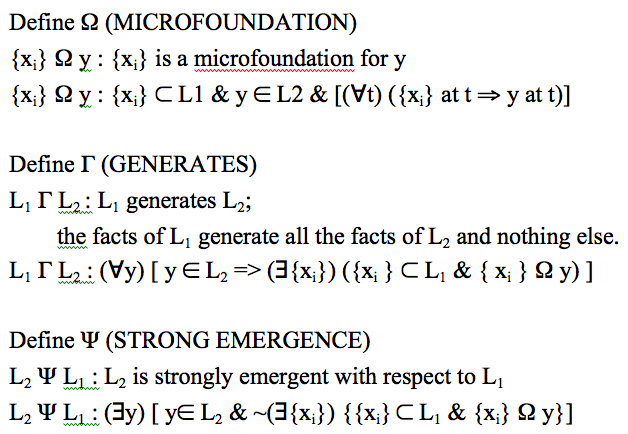 So I'm now inclined to think that the idea of microfoundations is less useful than it once appeared to be. This doesn't mean that the microfoundations concept is incoherent or misleading; but it does mean that it does not contribute to social-science imperatives, either of methodology or ontology. The 40th annual meeting of SSHA took place in Baltimore this weekend. 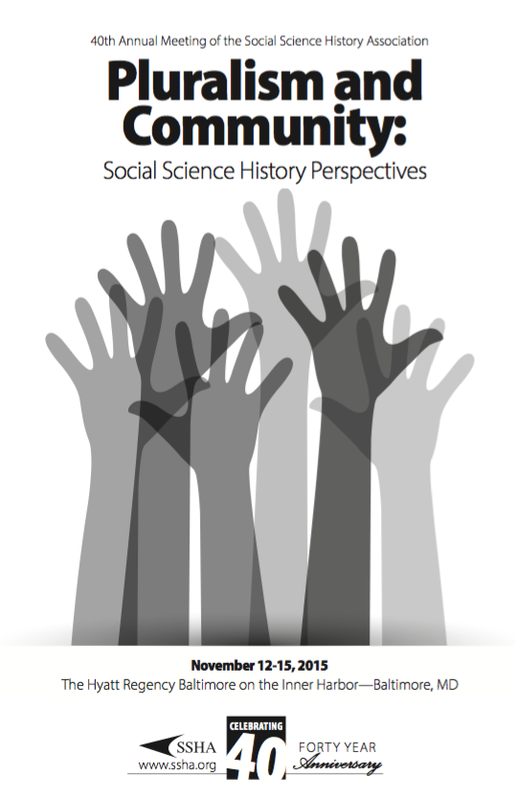 The Social Science History Association is an especially rewarding academic meeting for scholars interested in the intersection between historical processes and social scientific research tools and explanations. The rationale for the organization is to provide a venue for bringing together the study of specific historical topics and the use of tools and methods of the social sciences to further understand those episodes. History and social science methods mutually inform one another at the SSHA. The membership is highly interdisciplinary — in fact, interdisciplinarity is the theme for the 2016 meeting in Chicago — and every meeting offers a chance for participants to discover new research and new theories that are relevant to their own areas of work. The overall theme for the conference was "Pluralism and Community", and a significant number of panels did indeed strive to shed new light on these topics. Several large themes were evident in the program. One is the broadening understanding scholars are reaching about the dynamics of human population behavior — historical demography — through the development of new tools of research and analysis of population and health records. Particularly interesting is the continuing research of the EurAsian Project in Population and Family History (EAP) (link). On a related panel on mortality patterns during the Spanish influenza pandemic Matthew Miller, a molecular biologist, introduced what was to me a novel concept: viroarchaeology, or the use of data about antigens in the tissue of living individuals to work out the sequence of viral epidemics in the past. Miller showed how we might use antigen levels in living individuals for several varieties of influenza virus to draw inferences about a prior (and historically unnoted) H1 influenza virus prior to the 1918 Spanish flu pandemic. And Svenn-Erik Mamelund demonstrated the degree to which influenza mortality rates reflected indicators of socio-economic status. Other large themes included fiscal systems and their politics; race and resistance; GIS analysis of historical patterns; conflict and states; and new tools of formal social analysis that may be useful for historical research. My own paper, "Fissioning Community", falls in the category of applying new tools from the social sciences to historical topics; I considered the relevance and applicability of agent-based modeling techniques for understanding processes of ethnic and religious conflict. The paper and slides can be found here. Several panels were very relevant to contemporary social developments. There was a very interesting session that was relevant to the contemporary "Black Lives Matter" movement that looked back to Detroit's progressive left in the 1960s and 1970s. Austin McCoy offered a fascinating and detailed description of the DARE movement during that period, a multiracial movement for racial justice. And the real-world tragedy in Paris last weekend found its academic counterpart in a panel on ethnic and religious identities in Europe, "Am I Charlie or Am I Ahmed? Comparative and Historical Perspectivism on Pluralism and Communities in Crisis in Contemporary Europe." This panel allowed participants to reflect on the social factors and processes that surround the formation of community in multi-cultural and multi-religious Europe. Also relevant on this topic was "Rethinking Pluralism in France: The 10th Anniversary of the 2005 Riots", with papers by Patrick Simon, Jean Beaman, and Crystal Fleming. For many readers of Understanding Society the Social Science History Association will prove to be a particularly rewarding intellectual destination. The call for papers for the 2016 meeting of the association will appear here as soon as it is available. 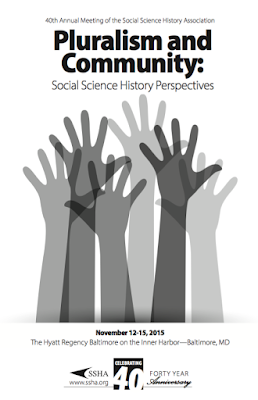 Here is a link to the organization's journal, Social Science History. an interest in the ways in which knowledge and values play causal roles in society. I don't have an exact measure, but my impression is that the past year has witnessed a higher number of posts on topics in the philosophy of social science as such, with fewer on more contemporary topics. I am very grateful to the many readers worldwide who find topics of interest in Understanding Society. Google Analytics reports 72,051 page views of the blog in the past month, and 718,000 page views for the past twelve months. Here is the global distribution of visitors from the month of October; it is evident that there is a fairly wide distribution of readership around the world. Thank you for visiting, reading, and discussing! People relate to each other on the basis of a set of moral and cognitive frameworks -- ideas about the social world and how others are expected to behave -- and on the basis of fairly specific scripts that prescribe their own behavior in given stylized circumstances. It is evident that there are important and deep differences across cultures, regions, and classes when it comes to the specifics of these frameworks and scripts. Part of what makes My Man Godfrey humorous is the mismatch of expectations that are brought forward by the different signals of social class presented by Godfrey. Is he a homeless man, a victim of the Depression, or an upper class gentleman in disguise? His accent suggests the latter; whereas his dress and living conditions suggest one or another of the first two possibilities. It is relatively rare for people in the United States to have sustained contact with individuals from substantially different socioeconomic circumstances; and when they do, the interactions are generally stylized and perfunctory. Consider churches -- there is remarkably little socioeconomic diversity within churches in the United States. This is even more true of elite private and public universities (link). Take the percentage of Pell eligibility as an indicator of socioeconomic diversity. The University of Wisconsin-Madison serves only 10% Pell-eligible students, and Yale University only 12% Pell-eligible. According to the New York Times article providing this data, the upper margin of Pell eligibility is a family income of about $70,000; so roughly 90% of the undergraduate students in these elite universities come from families with greater than $70,000 annual income. What is the likelihood of a Yale or UW student having a serious, prolonged conversation with a person from a family below the poverty line (roughly $25,000)? It is virtually nil.